Written by pianist Gina Hyunmin Lee, as part of the Breaking the Silence series. CW: Discussion of musicians’ injuries and illness. My health journey began in the summer of 2010 when I was attending Interlochen Summer Arts Academy in Michigan. It was there that I first experienced symptoms of tendinitis and aches in my lower back from bad practice habits. 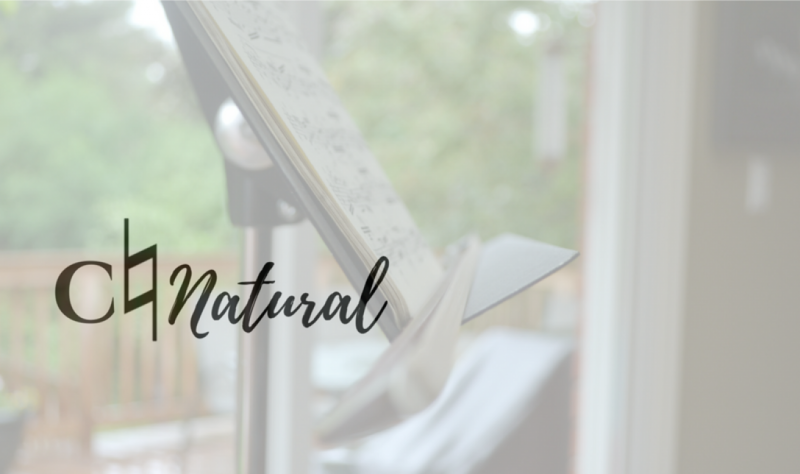 I used to mindlessly repeat passages while practicing, obsess over difficult passages and ignore the mild pain and discomfort that were warning me to stop playing and take a break. Then, during third year of my undergraduate degree, I spread myself too thin with big commitments and it lead me to one of the most challenging yet worthwhile lessons I have ever learned. I was able to recover from the initial injury in 2010 within a couple months of physical therapy sessions, but when it recurred towards the end of my third year, things got a lot more serious. This time, it took me almost two years to get back in tune with my body, mind and health. My symptoms included not only pain and swelling in my forearms but an unanticipated “freeze” in the fascia muscles of my hands while performing. This “freeze” happened during a masterclass performance, a jury and once at a competition. I ended up having to postpone all of my year-end performance engagements to a future, unknown date. At first I sought help from the physiotherapy department, which provided immediate release of pain, but they did not identify the root(s) of the problem. It wasn’t until I met Dr. Joaqin Farias, a focal dystonia specialist residing in Toronto, and Dr. Chambul, a chiropractor and registered acupuncturist in Thornhill, that I figured out that the pain was caused by many aspects of the lifestyle I was leading. Dr. Farias understood the challenges of being a musician, and how ambitious, work-driven and—at times—relentless our lives could be. He suggested that musicians who strive to perform and build a career need to understand that our bodies have their limits. He believes musicians should reframe their mindsets to be similar to that of an athlete, whose performance and craftsmanship grow hand in hand with a healthy body and mind. He also pointed out potential psychological setbacks that I could be experiencing. Apparently, my body and muscles could be negatively triggered when under stressful performance circumstances. He suggested I face those situation more often and re-teach my mind to let me know that I am capable of doing it without injury. This worked well to bring back the confidence I had lost over time. I no longer shy away from performance opportunities because I’m afraid of experiencing pain. I also realized that I have to be the first one to trust in myself to be OK under the same circumstances when I was experiencing muscle pains and “freezes”. This process was not only one of physical recovery, but a slow, mental process of learning to trust myself again. Throughout this time, I went from playing 5 minutes a day to literally adding a minute per day until I was able to play my 45-minute long third year recital. I owe my teacher and mentor, Dr. Midori Koga, for her moral support during the recovery process. Dr. Chambul, on the other hand, provided a more hands-on treatment through chiropractic treatment and acupuncture therapy. His general comment throughout my treatment was similar to Dr. Farias’—we must take care of our body like athletes to endure a career and lifestyle as a musician. As a pianist, I had always found it challenging to overcome the physical restraint that I thought I had—I’m a small person with very small hands. When I approached big repertoire that demanded more of me physically, I didn’t fully understand how my body would work with this repertoire. To be in tune with what I desired to play and to figure out how I could achieve it while being conscious of the limitations of my body, I experimented and spent a lot of time away from the instrument. After much trial and error, I am beginning to understand how best to approach this type of repertoire. I’ve also realized the importance of cultural and institutional acceptance of injuries. I was fortunate to have met many people around me who empathized and shared their experiences to reassure me that this was a phase that I could get through with proper help and lifestyle adjustments. It wasn’t until I was actually hurt that I learned what to do through an injury, and how to maintain optimum health while playing my instrument and doing what I love. During this two-year journey, I experienced not just physical discomfort, but a serious setback in my mental health, my perceived ability and, ultimately how I viewed myself as a musician. Without the encouragement of my mentors, colleagues, health professionals, and loved ones, it may have taken a lot longer to fully recover. While this experience was traumatic, the lessons I learned were invaluable. Over the next few months, Gina continues her freelancing career in Toronto while preparing for Master’s auditions in piano performance. A recent graduate with a Bachelor of Music in Piano Performance from the University of Toronto, she actively collaborates with instrumentalists and composers in the Toronto area. Next Post So… I’m living in Korea now!